A terminally ill five-year-old girl who touched hearts across the globe with her emotional ‘wedding’ video has sadly died. Moray youngster Eileidh Paterson and Harrison Grier, six, were declared “best friends forever” during a Disney-inspired celebration last month. 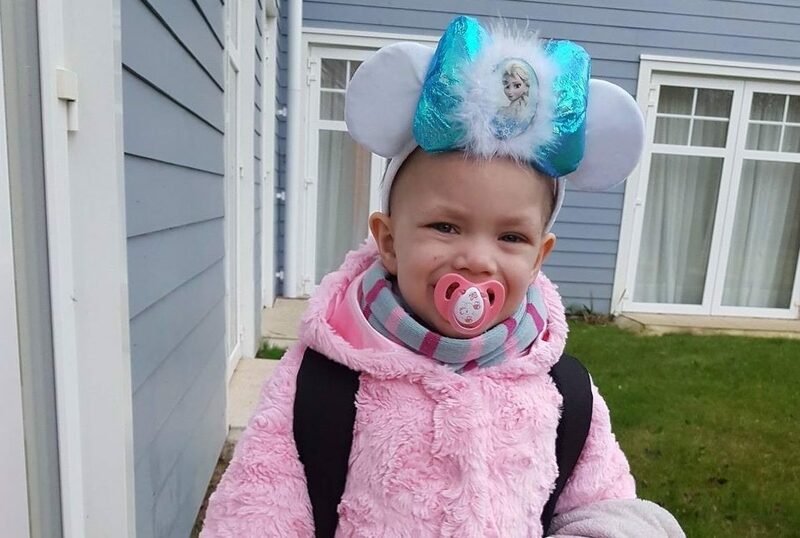 It was the top item in an ‘bucket list’ that saw Eileidh swim with mermaids and visit Disneyland among other adventures following her neuroblastoma diagnosis in 2014. An emotional post on the Eileidh’s Journey Facebook page, set up to raise funds in Eileidh’s name for Neuroblastoma Children’s Cancer Alliance UK, confirmed last night that the plucky youngster had lost her cancer battle. It read: “With a very heavy heart, I’m heartbroken to tell you all that Eileidh gained her Angel wings at 11.45am on Saturday 1st July. “Unfortunately it was discovered on Thursday, after an ultrasound scan, that Eileidh’s liver was enlarged and full of neuroblastoma. “This was the most aggressive she has ever had as it grew extremely rapidly. She took her last breath surrounded by her family and cuddled up with blankie. The video of Eileidh’s special day became a global phenomenon, with well-wishers from as far afield as Australia, America and Japan getting in touch. Speaking last month, Eileidh’s mum, Gail Paterson, said she was “amazed” by how the event had “completely snowballed”. At the wedding ceremony, close friends and family gathered in a meeting room at the as the children, both from Forres, Moray, held hands and exchanged necklaces. Eileidh Paterson touched the hearts of people across the world. Eileidh was walked into the room by her older brother, Callum, to ‘When You Wish Upon a Star’ from Disney film Pinocchio. There were several items that they were unfortunately unable to tick off the bucket list in time. These included going to school, being a zookeeper for a day, visiting a water park, going to Disneyland, meeting Norman Reedus who plays Daryl Dixon on The Walking Dead. She also wanted to play on the beach, get a bedroom makeover, go on a short break, see the Blackpool Illuminations and go on the London Eye. A meet and greet visit with popstars Little Mix was arranged earlier this week but she was too sick to attend.